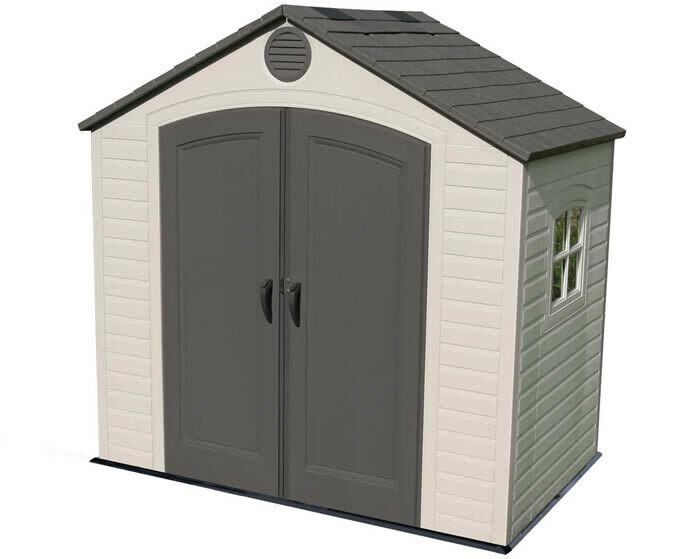 New from Arrow Sheds! 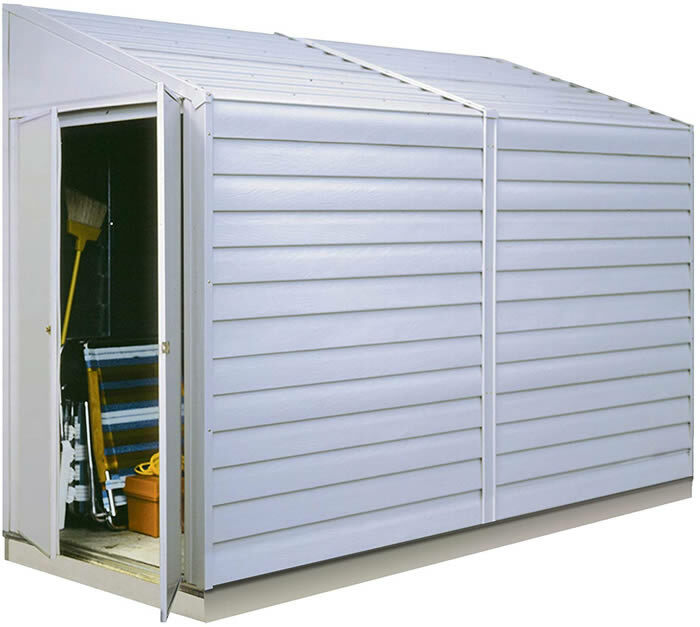 The Arrow 8x4 lean to style steel storage shed model ELPHD84. 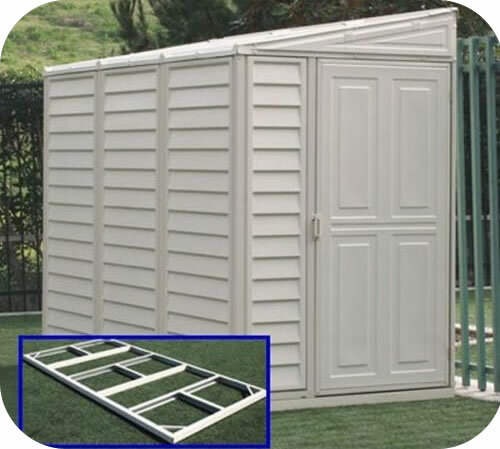 This is a great little shed for putting next to your house, fence or barn. 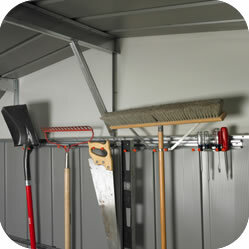 It provides a great storage solution for pools supplies, yard tools, mowers or even firewood! 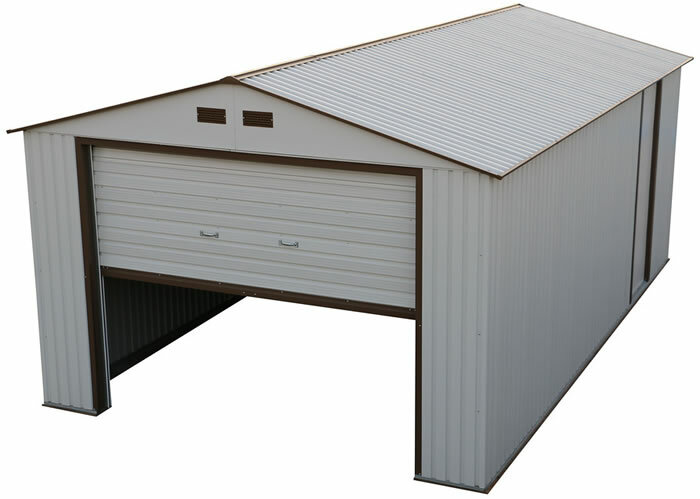 Extra wide double doors measuring 59.5" wide allow for easy access. The natural light panels across the top front of the shed allow for natural light to shine in and light things up for you. 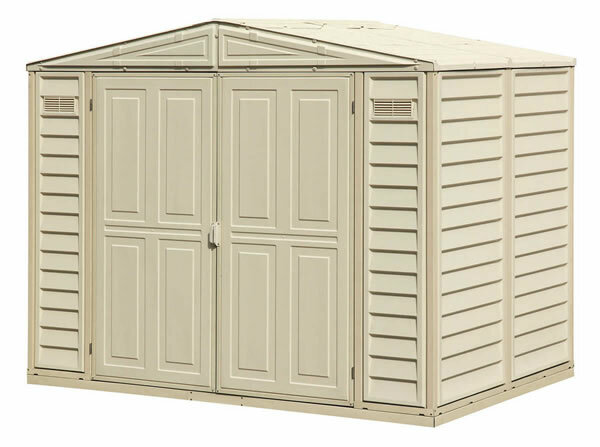 The Arrow 8x4 lean-to metal shed model ELPHD84 is an eggshell white color with green trim. 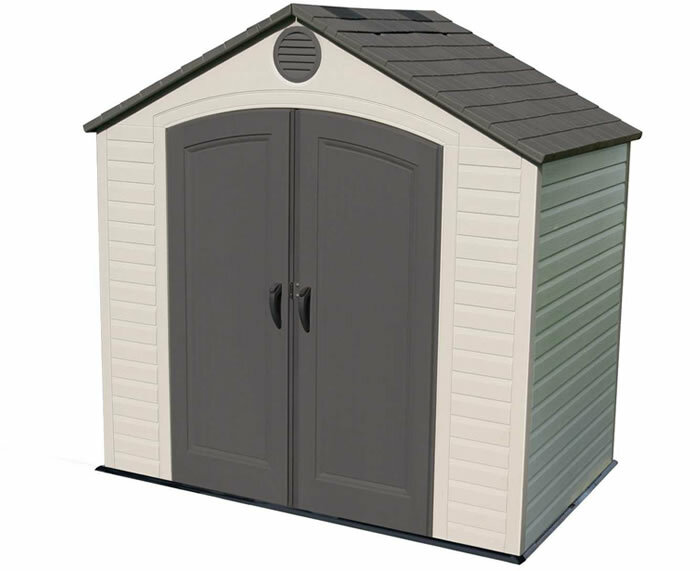 It offers 30.8 square feet of storage space with 59.5" wide doors and over 6' 5" interior headroom at it's peak. This building is constructed of hot dipped galvanized steel that protects against rot, insects and weather. A sloped roof provides easy water run off. 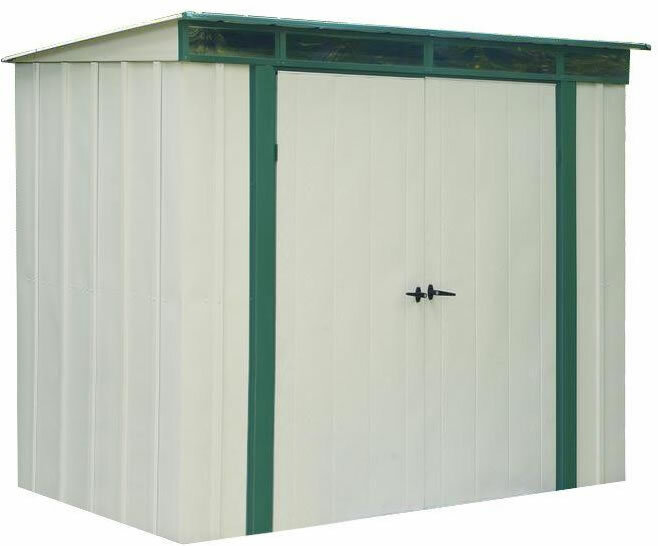 Storage Area: 30.8 square ft. / 191.8 cubic ft. Ideal for smaller space. Have patience building it, the manu ..